Experience has taught me that great things happen when you least expect it. This New York layover was definitely unexpected. 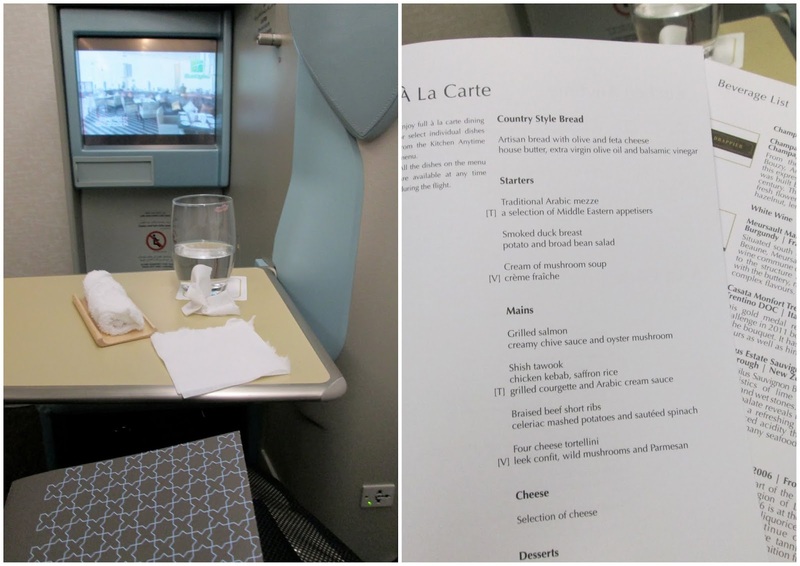 My work trip was arranged at the very last minute and it required me to go to Abu Dhabi and London. To get me to those places from Moab, Utah, I needed to stop for a night in either Chicago or New York.New York was the no-brainer choice. My best and oldest friend in the world is there. Friends since we were 7 years old!!! By oldest I mean the longest running friendship I currently have. I don’t mean to count the years but seriously, when you’ve been friends since 1st Grade, and we’re now at an age capable of having 1st Graders of our own (chill– both of us are child-free but technically at our age people wouldn’t give it a second thought if we were mothers to 7 year olds)– it’s quite an amazing and scary thought. I only had less than 24 hours in New York, so we wasted no time. We bonded over food. 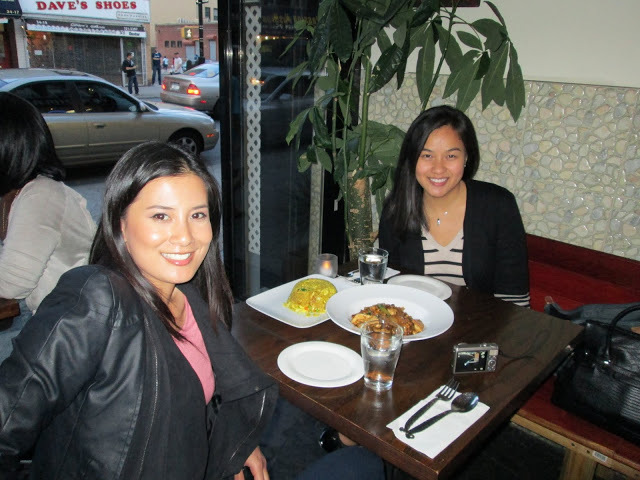 We were in Astoria so we were spoilt by the multicultural choices of food! This is authentic multicultural New York, not the central touristy ones. 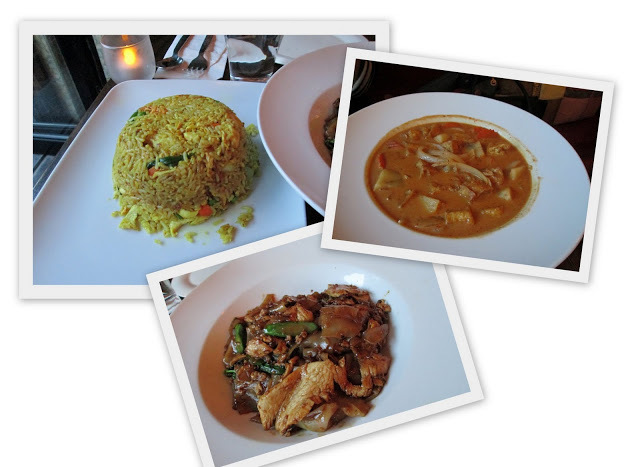 Now I have not had any Asian food (or rice for that matter) for the last 2 – 3 weeks so I happily said yes to Thai. I can go on without rice, but you really don’t realise how much you do want it until you smell and see it! Nothing really warms up my tummy more than curry and fried rice. So now you all know my gut doesn’t really lean towards sophisticated food. My gut is very easily pleased. After dinner, we walked a block away and hit this Greek bakery. 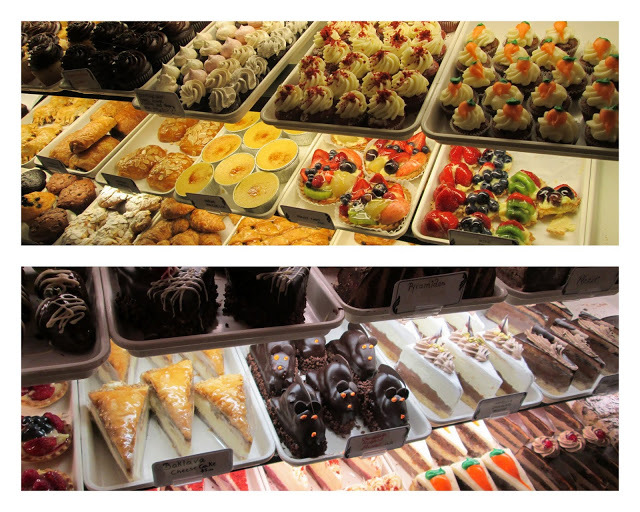 If I could have a sample size of each of those yummy cakes and tarts, I would! It was so hard to choose! We ended up sharing a Red Velvet Cheesecake. That was really fabulous. So rich that I needed green tea with it–and it’s a perfect combination. We probably slept at around 4am from catching up on all necessary and juicy goss. The last time we saw each other was last year when I was also in New York (where I also food-tripped to Harlem for some nice Southern grub). Upon seeing each other, our conversations started where we left off as if the year long absence was just a 2 minute toilet break. No more pleasantries like “how have you been?” or “looking great!” Now this is what good old comfortable friendship is all about! The next day we woke up at a decent hour considering the 3-4 hour nap we had. Up and about before 10AM. 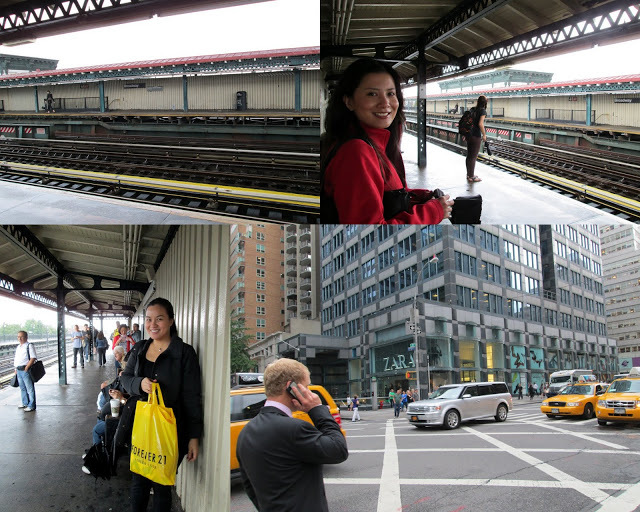 We hit central and did what was necessary: Shopping! LOL. But honestly, shopping is one activity that makes me hungry very quickly. 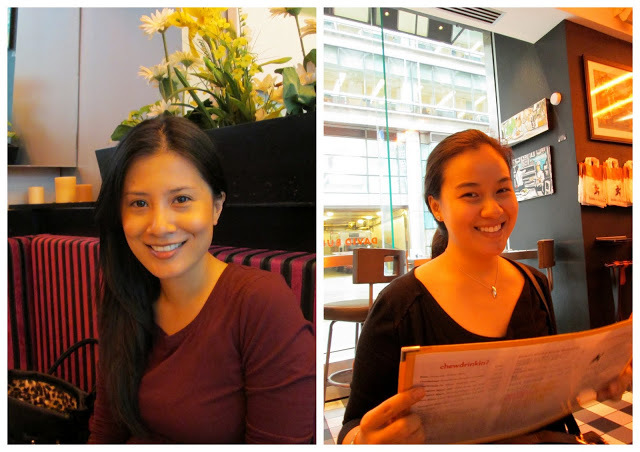 So a couple of hours later we found ourselves gorging on late lunch at a cafe. Pardon me I am so not a food blogger, I barely remember the names of the cafes and restaurants. All I can tell you is, it is good as it fuelled me for a couple more hours of shopping! Soon though I was back out in the streets hunting for an afternoon snack. 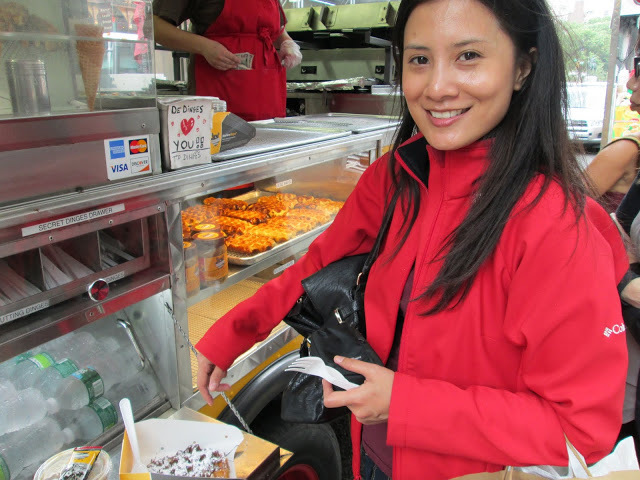 Now one of the best things about New York is the food trucks. What they have in those food trucks, are served in ritzy cafes here in Sydney for double the price. Insane! 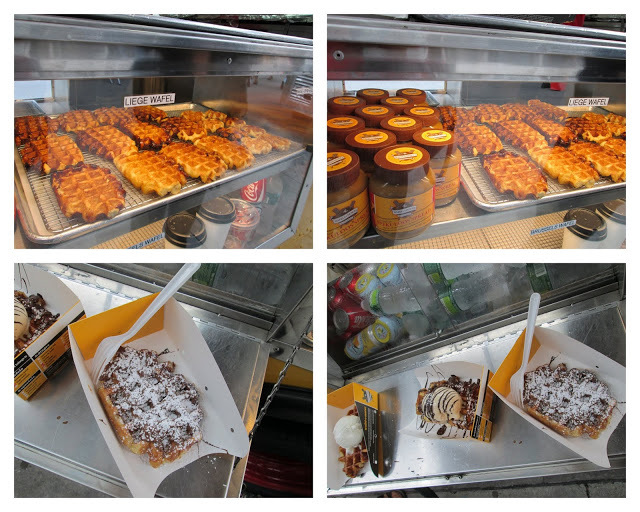 I had these liege belgian waffles, drenched in creamy nutella sauce with icing sugar. It’s a recipe for instant cardiac arrest and diabetes but OMG it was sooo good. 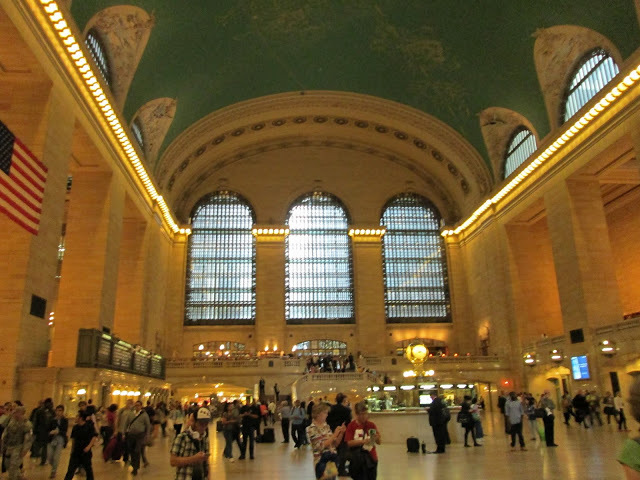 I also entered Grand Central Terminal for the very first time. And now I understand how and why many movies were filmed there. 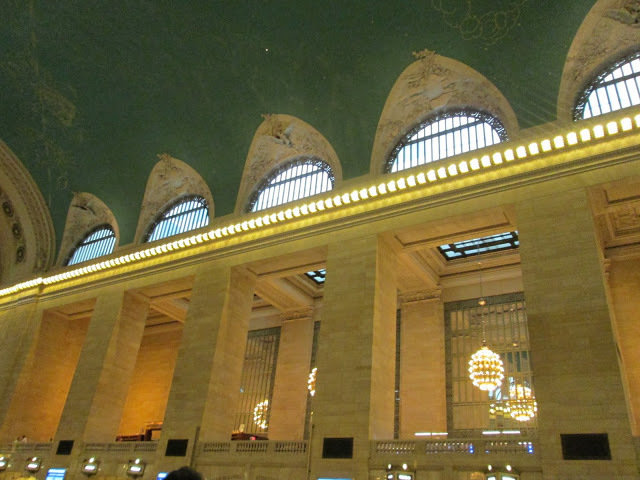 It’s like a cathedral and a train station rolled in one! 24 hours seems a lot theoretically. But it goes by like a quick breeze most especially when you’re having fun. We pretty soon had to leave for JFK to catch my flight in the evening. And up until the last minute, we bonded over dinner at the airport. 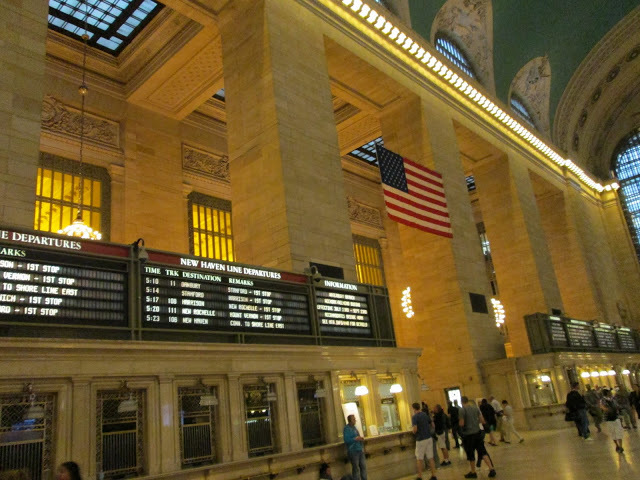 So this is my very short New York stopover. 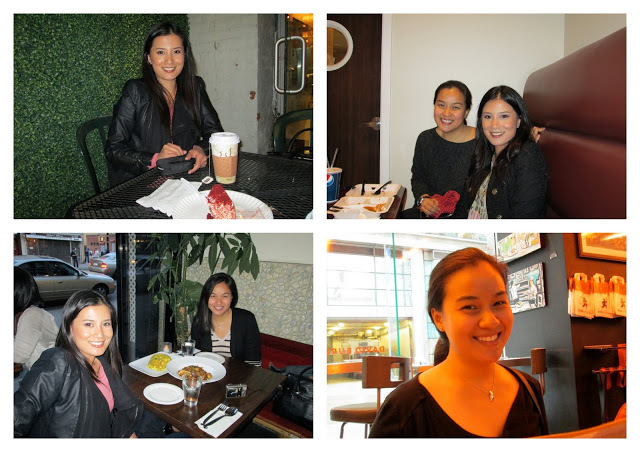 Dominated by food, bonded by friendship (and a little bit of shopping! ).